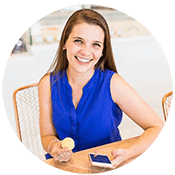 I’m so thrilled to share another one of my favorite food bloggers and close blog friends. Erin of The Speckled Palate and I connected last year and have stayed in touch via email ever since! She just had her first sweet baby and I am in love with her even from afar. This lady’s recipes though are just amazing. You will love every one of them! Be sure to check out her blog and leave her some love in the comments. 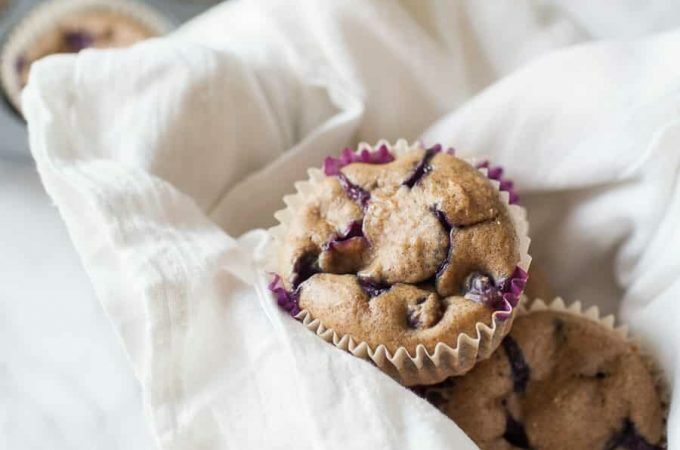 Blueberry season is just around the corner, and what better way to start the day than with a delightful Blueberry Orange Muffin? Slightly sweet and delicious, these muffins sing of the summertime. Hey, y’all! I’m Erin. I blog over at The Speckled Palate, and I’m thrilled to be taking the reins for Madison as she and her little family trek across the country to their new home! So… I’m sharing a new favorite recipe with y’all today since summertime is just around the corner. 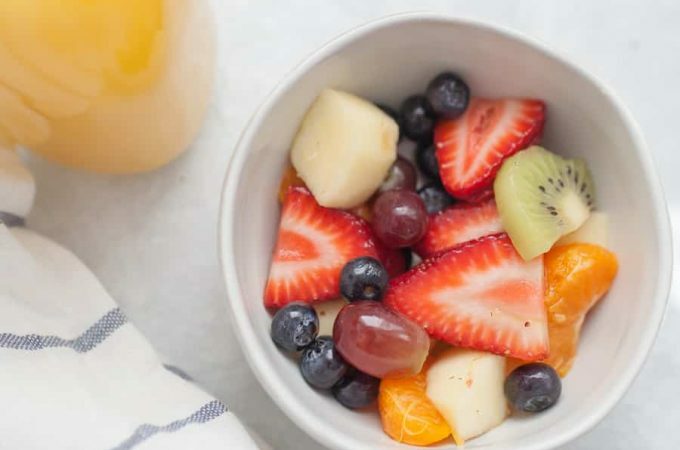 It calls for two of my favorite fruits, and their combination is stellar. It’s also a pretty fabulous way to start off any day… especially a lazy weekend. Once upon a time, I worked as a newspaper photographer in a small Mississippi town. It wasn’t a glamorous job, by any means, but I adored it. Not only was I doing what I loved, but I was able to go out into the community every day and see something different, talk to different people and experience small town living. One weekend, I was sent to a small town near my town to cover a blueberry festival. In case you didn’t know it, we’re really into our fruit-centric festivals in the South. And they’re incredibly delicious, as I’m sure you can guess if you’ve never had the opportunity to attend one. It was, as you’d imagine, a celebration of all things blueberry. The pageant was finishing up as I arrived, and I watched the Blueberry Queen accept her crown. Vendors in tents were selling various blueberry goodies, from blueberry muffins to cobbler to jams and beyond. Artists had their own tents, as well, sharing their artwork with the masses. And then farmers set up little farm stands, offering fresh blueberries in various box sizes. I ended up bringing home five pounds of blueberries… then immediately had to figure out what to do. I wasn’t adapting my own recipes at the time, so I ended up freezing most of the berries and throwing them in smoothies. 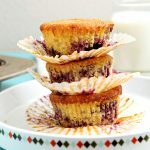 But if I were to go to the blueberry festival again, I’d bring home ten pounds… and then make a ton of these muffins. They also freeze really well. Preheat the oven to 400°F. 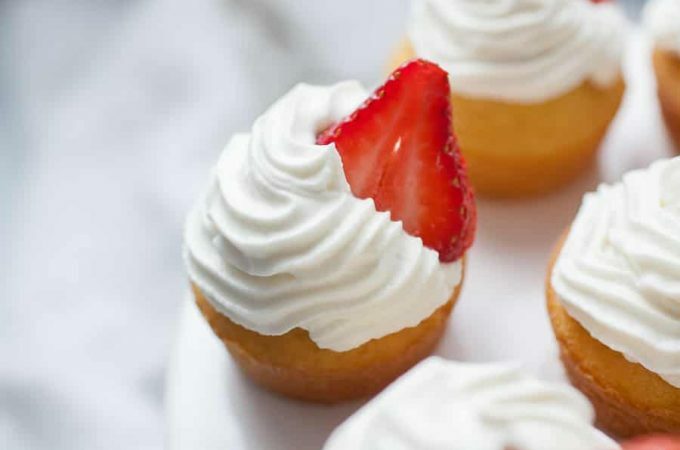 Line a muffin tin with baking cups, then spritz with baking spray. Set aside. In a small bowl, toss the blueberries with the tablespoon of flour. Set aside. In a large bowl, combine the dry ingredients — 1 1/4 cups flour, baking powder and salt — and whisk until incorporated. Set aside. In another large bowl, mix the applesauce, melted butter, sugar and orange zest. Stir until combined, then add the orange juice and egg to the mixture, whisking those in. Slowly sprinkle the dry ingredients into the wet ingredients, mixing with a rubber spatula until just combined. Toss the blueberries into the batter, stirring until just combined. 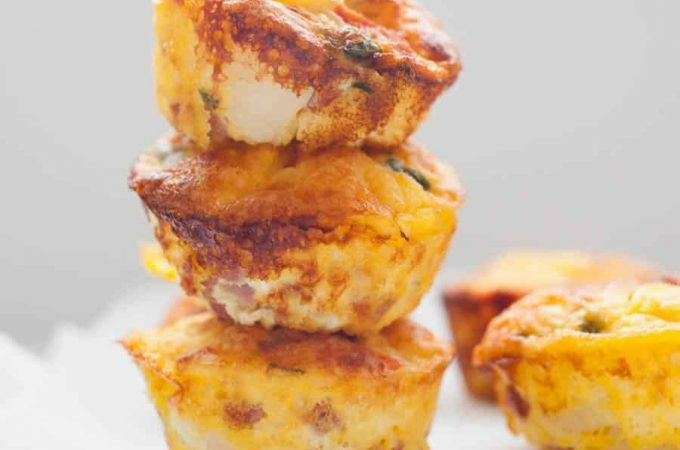 Scoop the batter into the prepared baking cups. Sprinkle the raw sugar over the tops of the muffins, then transfer to the preheated oven. Bake the muffins for 20-25 minutes, or until the tops have browned slightly and an inserted toothpick comes out clean. Allow 30 minutes to cool, then enjoy with a favorite breakfast beverage! Be careful not to overstir the blueberries. Have you ever been to a fruit-centric festival? If so, what kind of loot did you bring home? If not, what kind of fruit festival would you like to attend? These look so yummy! They have a nice shiny glaze to them as well. I really need to start baking more! Thanks so much, Rachel! They’re super tasty and perfect for the summertime. I hope you’re able to start baking more soon!